What Has Davos Achieved this (Or Any Other) Year? 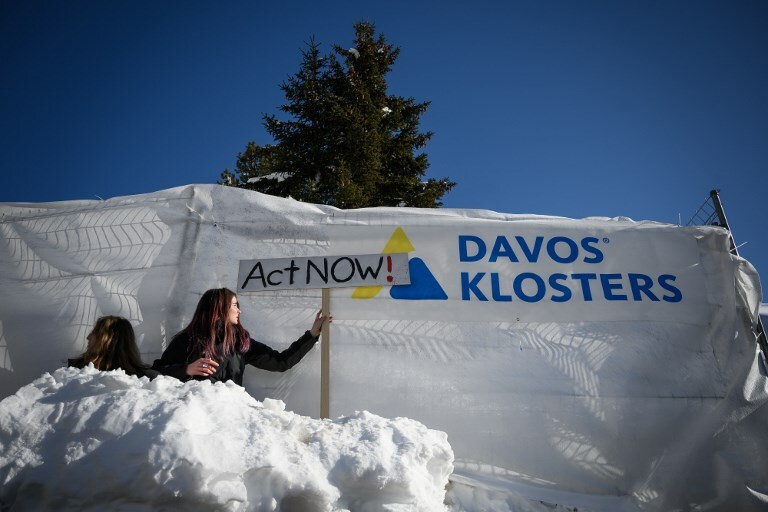 After the billionaires jetted home from their annual convocation at Davos last week, there lingered in the thin air of the Swiss ski resort the usual sense that an event of great significance had taken place. Once again, the gods of capitalism (newly rebranded as Globalization 4.0, or the Fourth Industrial Revolution) had deigned to gather at their chosen Olympus to scatter pearls of wisdom. Speakers offered solutions to pressing social issues from climate change to food shortages, although more often than not these boiled down an old favorite: leave it to the market (which is, of course, what one would expect a billionaire dependent upon a loosely regulated market to say). At Davos we were reassured that Globalization 4.0 will save the world. Davos is the annual jamboree of the World Economic Forum, a self-appointed oracle of all things that describes itself as “a partner in shaping history.” It isn’t entirely clear how an organization set up in 1971 as the humble European Management Forum gained the credibility that the WEF, into which it morphed in 1987, possesses today. Rubbing shoulders with the rich and famous, world leaders jostle for a place at the Davos table, and who can blame them? This is where the money is, and where those who control the investment decisions that can make or break national economies, can all be found under one roof. So it came as little surprise that last week Jair Bolsonaro, Brazil’s controversial new rightwing president, chose Davos as the destination for his first overseas trip as national leader. Such is the global heft of the WEF, and the myriad opportunities it represents for so many actors, that it appears immune to the obvious contradictions that swirl around it. This year, even as David Attenborough took to the Davos stage to urge the powerful to act to reverse climate change before it was too late, record numbers of private jets were refueling nearby. Then there was the sanctification by many speakers of the Fourth Industrial Revolution, a term coined by WEF founder Klaus Schwab in 2015 and a nebulous concept that bundles together a raft of disruptive technologies, from AI and robotics to nanotechnology and biotechnology. As Justin Trudeau, the prime minister of Canada, noted at Davos, this revolution will not be successful “unless it creates real opportunities for the billions who weren’t able to join us here this week,” but there seems to be no reason for confidence that it will. That is not to say that driverless cars or miniaturized diagnostic cameras that can crawl in and out of patients aren’t good things. But their raison d’etre is not to be good; it is to make money. Similarly, being good is not the primary motivation of the billionaires who flock to Davos in their Gulfstream and Global Express jets. Their main purpose is to maintain and build their wealth, for the benefit of themselves, their families and those who will inherit that wealth. True, many of the super-rich give away much money to charity, but even this seemingly unimpeachable act is not all it seems. In addition to being hugely tax efficient, distributing largesse is much cheaper than actually paying tax, so the unanswered question is this: is the good that results from money “given away” outweighed by the harm caused to society by the loss of withheld taxes? Judging by Oxfam’s latest report, presented at Davos, the answer is yes. “Private Wealth or Public Goods” is full of damning evidence that, far from trickling down, wealth is retained by a tiny minority and maintained by the exploitation of the many. Last year, says Oxfam, the world’s richest 26 people owned more money than the world’s 3.8 billion poorest. The answer, says the charity, is simple: fairer taxation. Around the world, the super-rich are paying lower rates of tax than they have in decades. If the richest 1 percent paid just 0.5 percent more tax, it would be enough to educate all 262 million children who currently receive no education and fund healthcare that would save the lives of 3.3 million people. At Davos, the rich and the powerful have, once again, preached to the world on every topic under the sun. One question they failed to address was this: exactly what, beyond their wealth and privilege, qualifies them to do so? Étienne Davignon, former chair of the Bilderberg Group, the WEF’s older, more-opaque counterpart, once dismissed the conspiracy theory that his organization was a shadowy world government with a joke. “If we were a secret government,” he said, “we should be ashamed of ourselves.” His meaning was that, given the state of the world, they weren’t making a great job of running it. But that verdict rather depends on perspective – certainly, seen from a private jet above Davos, the world must look to be in terrific shape. Perhaps the World Economic Forum truly is, as it proudly boasts, “committed to improving the state of the world.” But one does not have to be a conspiracy theorist to ask, for whom, exactly?